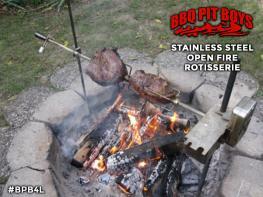 Looking for a rust proof solution? 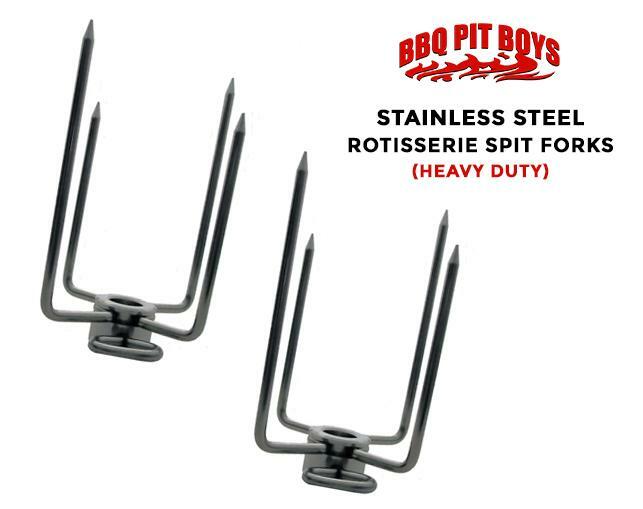 These universal fit stainless steel grill rotisserie spit forks are designed to outperform and outlast all other comparable rotisserie forks available. 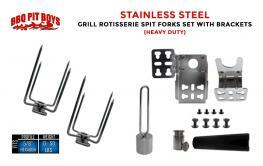 Durability and longevity are not a problem for this fork set. 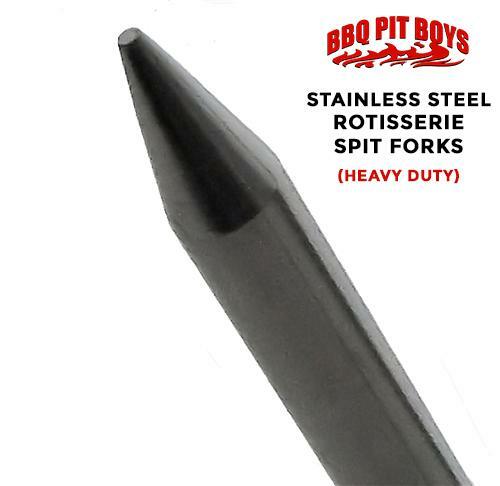 Heavy gauge 304 grade stainless steel ensures a lifetime of rust-free performance with absolutely no coatings to chip or degrade. With superior tapered points rather than the "clipped" style available on the market, sharp edges are eliminated. Can you smell that? It smells GUUUD! Additionally, with smooth tapered points insertion and removal of food is easy and provides less damage to delicate mediums. 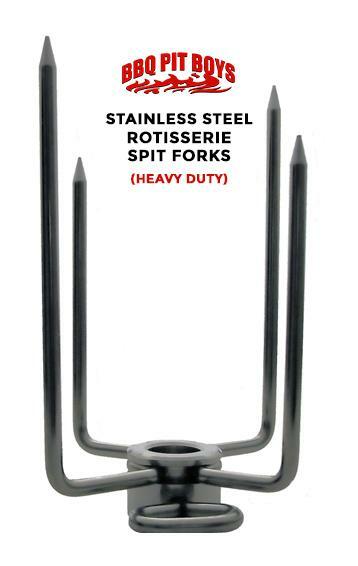 With a unique offset design and multi-depth tines, these forks are suited for most any cooking medium. With a staked fork fastening rather than spot welding the tines will never come loose from the fully machined hub. 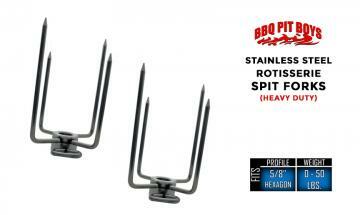 Thumb screw fasteners allows easy and secure fastening to your spit rod without the need for tools. 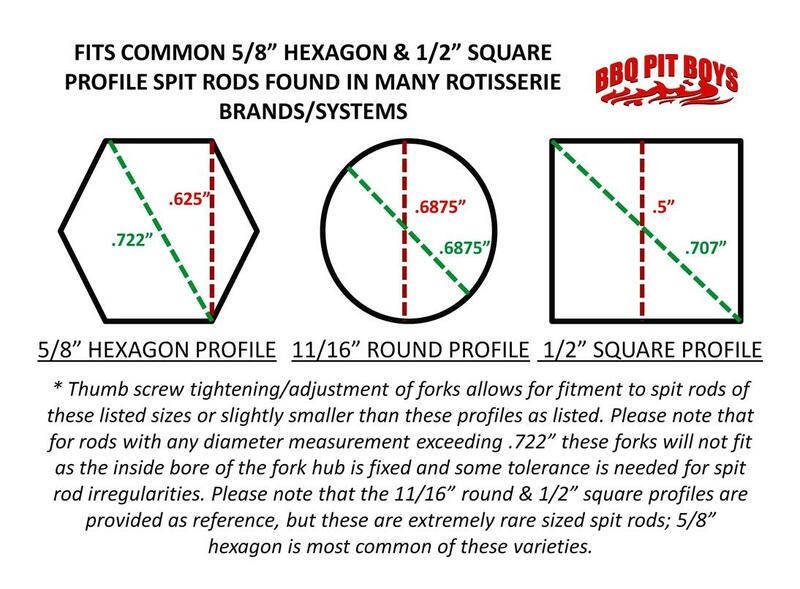 These forks are designed to fit spit rods of 5/8 inch hexagon profile.